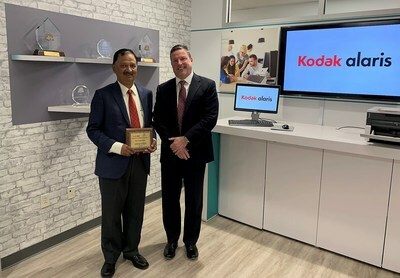 Through its comprehensive scanner portfolio, scalable capture software solutions and expert managed and professional services, Kodak Alaris enables organizations to automate business processes and take complexity out of information capture. Newgen's solutions extract greater value from enterprise data systems integrating with content repositories across multiple sites to eliminate redundant processes. Newgen leverages new-age technologies such as cloud, robotic process automation (RPA) with business process management (BPM), digital sensing, enterprise mobility and process analytics to help organizations reinvent their workplaces. "We're excited to collaborate with Newgen Software," said Vanilda Grando, Global Sales Development Director for Alaris, a Kodak Alaris business. "Partners play a key role in delivering value to our customers. Together, we will help organizations make sense of their data, achieve compliance and create transparency and efficiency throughout their operations." "By harnessing both companies' best-in-breed technologies, customers can realize all the benefits of a paperless, digitally-driven work environment," said Diwakar Nigam, Chairman and Managing Director, Newgen Software. "From modernizing manual, time-intensive processes such as customer onboarding and claims handling within the financial services and insurance sector; to streamlining workflows, enabling public sector bodies to effectively deliver digital citizen services; to automating business-critical workflows such as records management or accounts payable within enterprises, Alaris and Newgen are now better positioned to deliver value to our customers than ever before."